The port of Santos is a stop on our cruise in Brazil, where we can visit the Coffee Museum to learn all about this universal beverage. 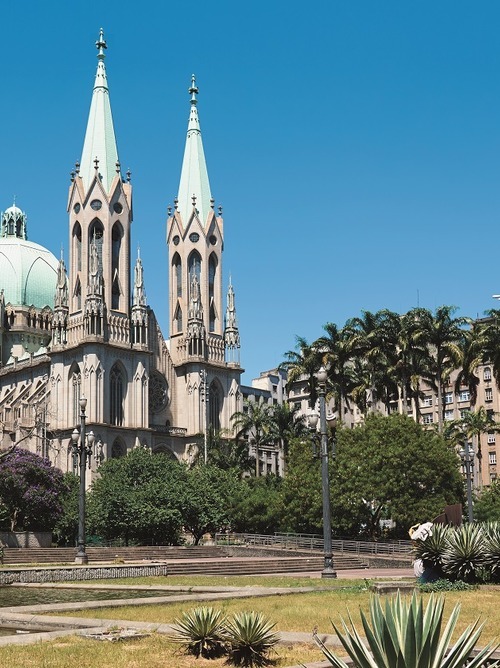 Take advantage of this stop in Santos to discover the many sights of this sunny port city, part of the State of São Paulo. During the stay you can stroll in the old town, where you'll find beautiful historical buildings such as the Coliseu theatre, visit the stock exchange and the Coffee Museum and explore the beautiful island of Guarujá.